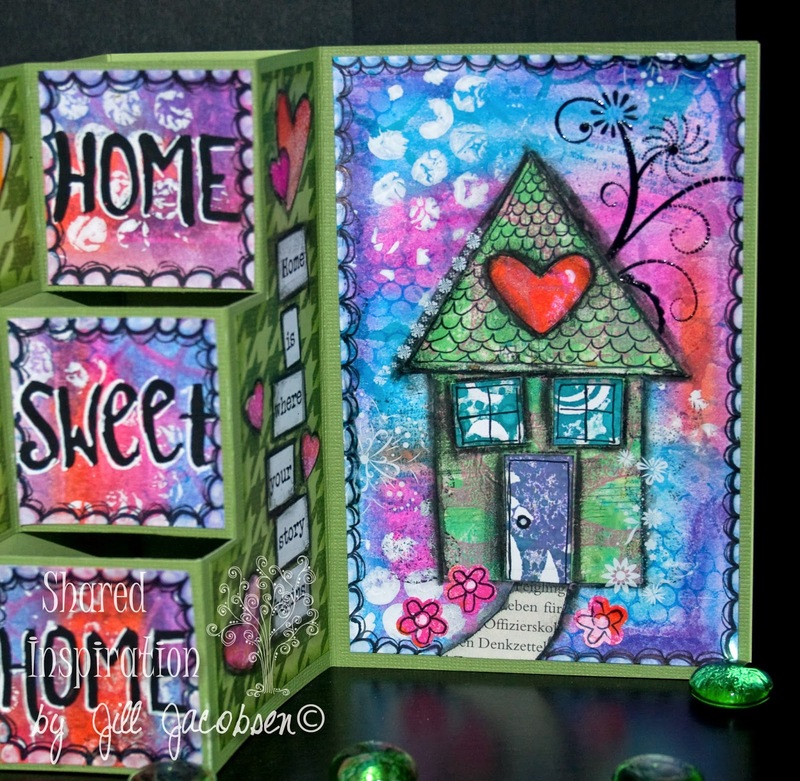 My inspiration today came from the Documented Life Challenge of adding a house. 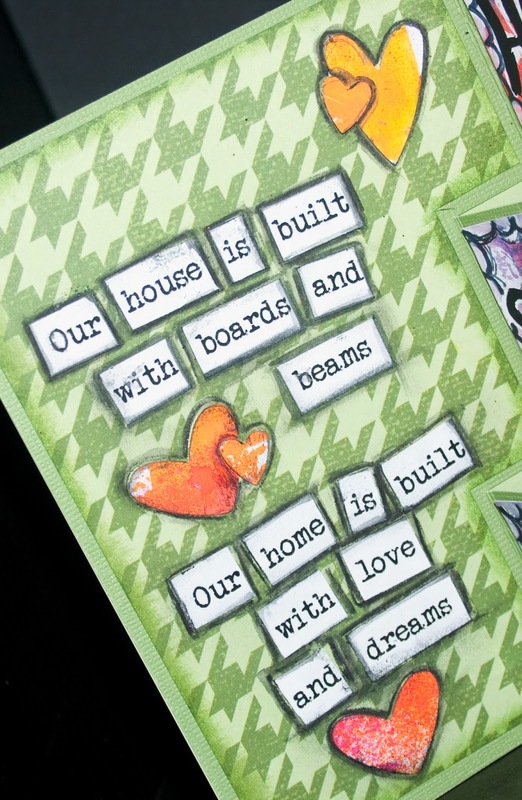 My daughter just bought their first house, so the card seemed very fitting. 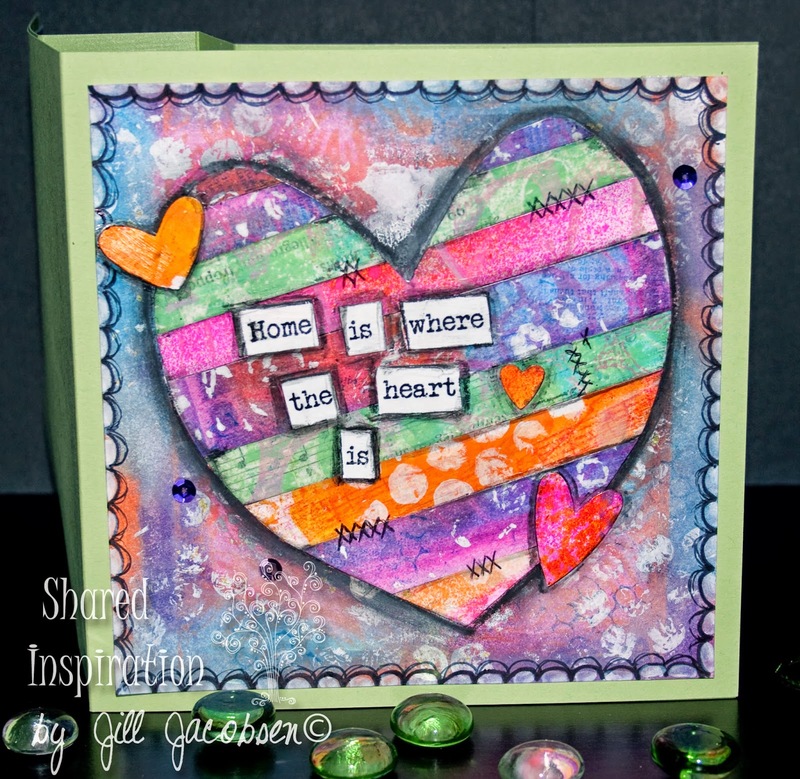 The card base is a block card that was the Technique Challenge on Splitcoast. 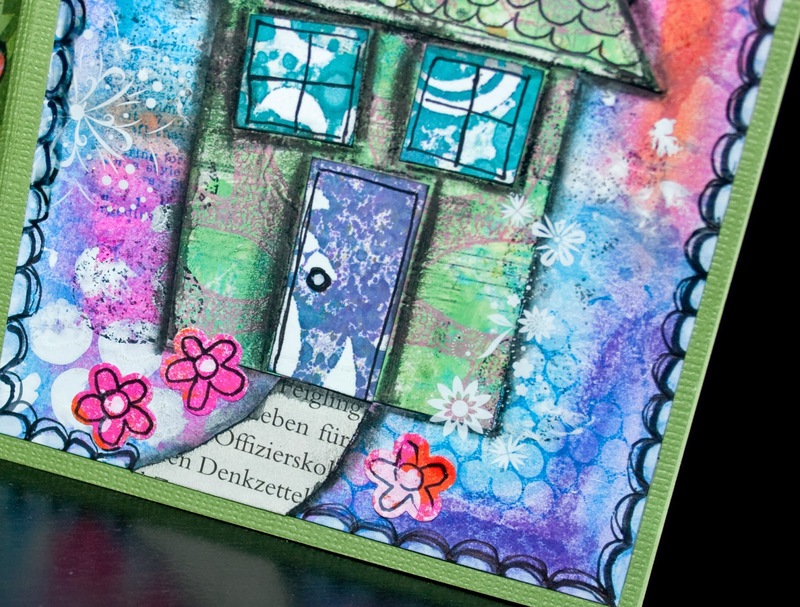 I basically used scraps on my desk to start with and just added gelatos and stamps from SNS, then some acrylic paint, the chimney swirl is embossed with black ep. 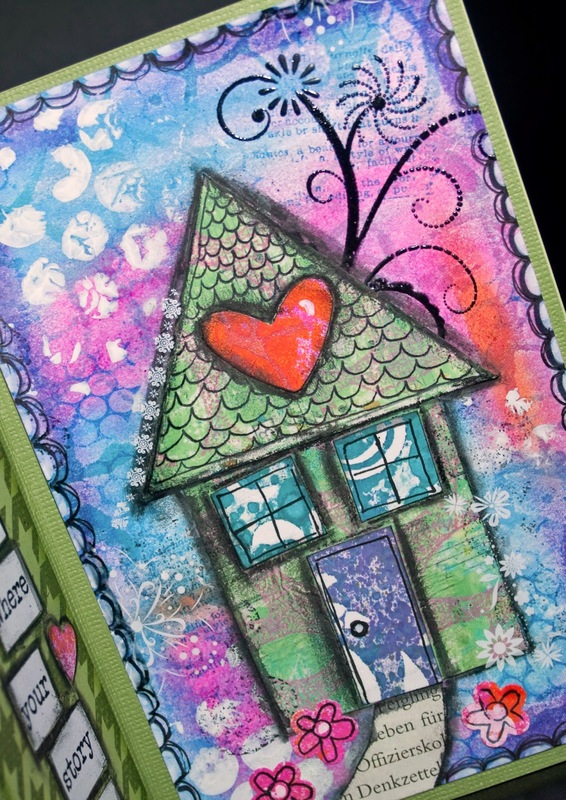 The house itself is a gelli print scrap...the hearts where some background scraps from another project. I did add some rubons to the pges too. Doodled the roof and the border. I printed out several home sayings on the computer and glued them down. 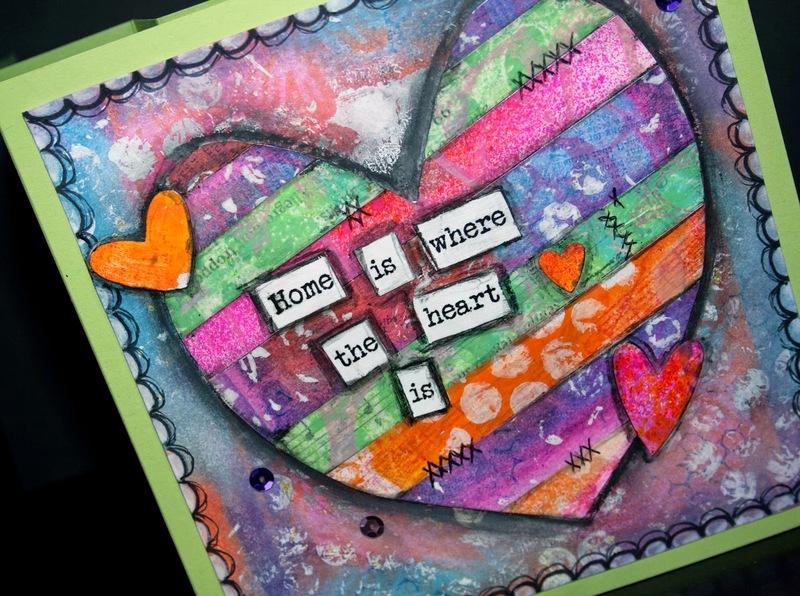 Then for the front of the card I took the cut up scraps and glued them down to cut out the heart. 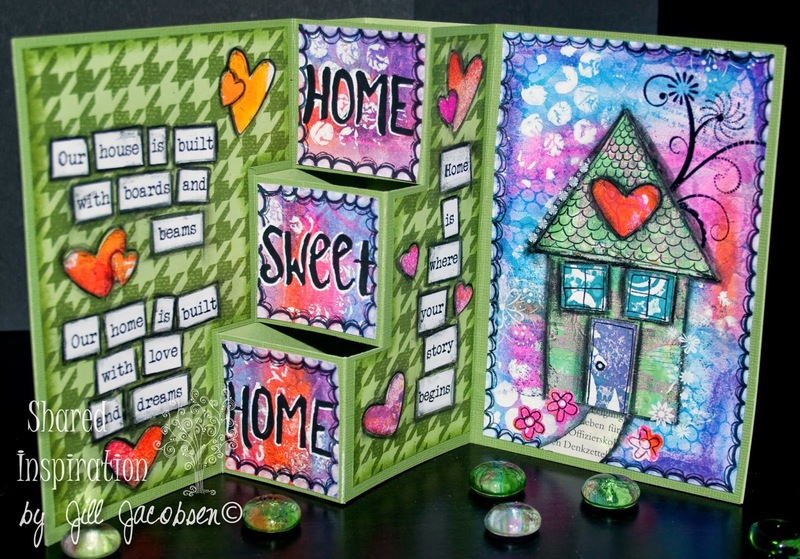 All in all the card is just scraps from other projects and I think it turned out very nice with all the mod podge of colors and patterns. 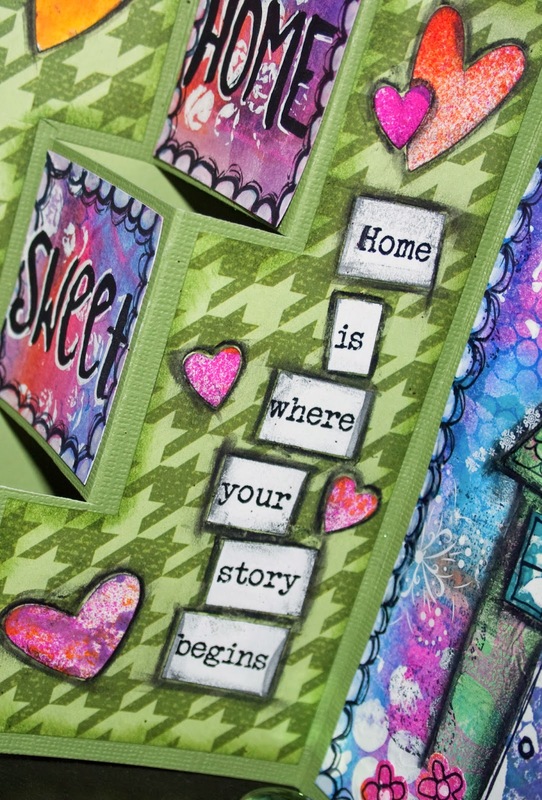 May you find time to be creative today!